I find myself wondering a lot of the time why I don’t see more people picking the wild organic fruits that grow around here in Washington. Is it that they don’t have the time or that they would rather go to the grocery store and buy it? Since moving here I have found (wild And organic) blackberries, apples, plums, blueberries and raspberries. 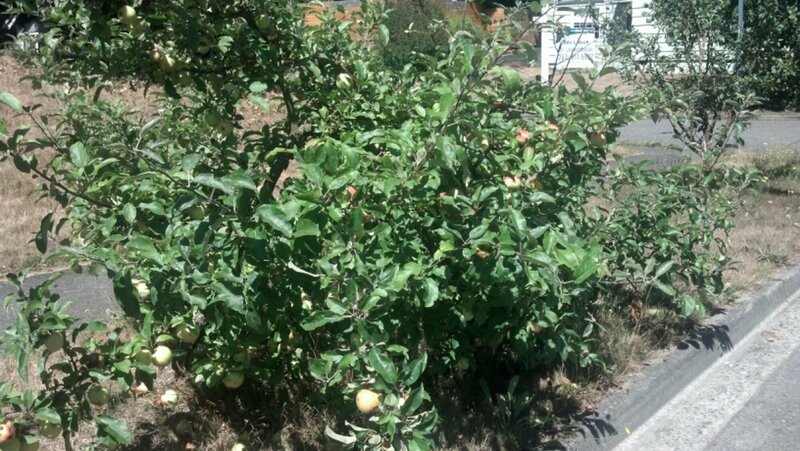 One lesson to be learned here is if someone has a fruit tree growing their yard and it looks like its not being, knock on their front door and ask them. Generally they are very pleased to let you pick as many as you want. Today is find was organic apples that snapped off of someone’s apple tree. Look at the picture.